To play Apple Music on Raspberry Pi and enjoy more, there are two useful solutions available and worthy of a try. And the professional and powerful DRM removal software will orientate yourself as an expert to remove DRM from Apple rented music and then you can stream Apple Music to Raspberry Pi easily. Besides, the other effective method using AirPlay will also guide you to easily enjoy apple music on Raspberry Pi. Please read this post carefully and you would find a proper solution to better stream Apple music to Raspberry Pi for better experience. Raspberry Pi is a series of small and single-boarded computers for you to learn programming. Since it is developed in the United Kingdom by the Raspberry Pi Foundation, it has become far more popular than anticipated. Till now, several generations of Raspberry Pi have been released. And more and more people are willing to use it. It is said that sales of Raspberry Pi have been over 19 million. Raspberry Pi is small though, it is complete with everything needed. It can do most things that a computer is capable of. 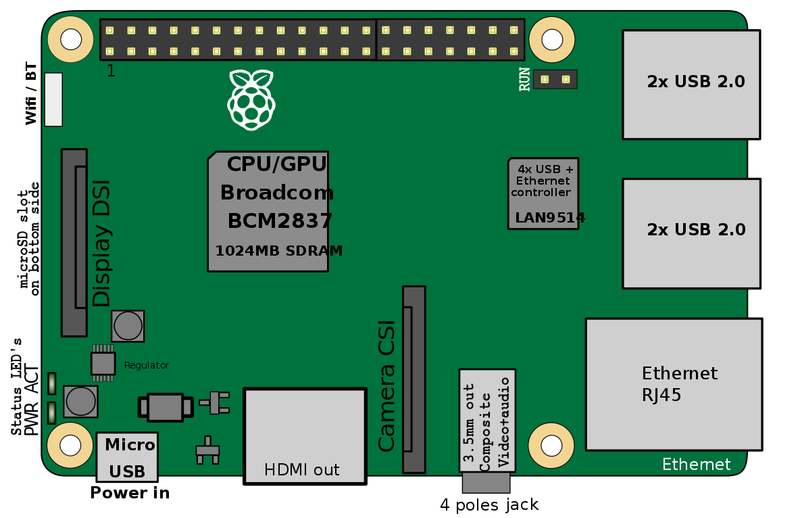 And the Raspberry Pi features lower energy consumption, portability and GPIO and so on. Moreover, Raspberry Pi is quite cheap and widely used in educational field. In addition, Raspberry Pi will change the way you listened to music. You will need a software to install and use it to play music from the Raspberry Pi. If you would like to play Apple music on Raspberry Pi, you should remove DRM from Apple music first since Apple music are protected by DRM that prevents the music from being shared on other unauthorized devices. Fortunately, there is the easy-to-use third-party software can make it for you. Apple music is now one of the most popular music streaming service. There are so many songs available for music lovers to devoted themselves to the music ocean here. However, it is known that you can only enjoy the Apple music you rented in limited time and limited authorized devices. Then, in order to enjoy the Apple music more, you can stream Apple Music to Raspberry Pi by using Leawo Prof. DRM which is DRM Removal Program and DRM Media Converter. After you launch Prof. DRM, you will enter the main interface. And then click “Add Files” button pop up “Add File” panel for adding one or more DRM protected Apple music files. Or you can directly drag the target Apple music file and drop it to the middle of program interface. After importing Apple music, you can check the music under Music Category. 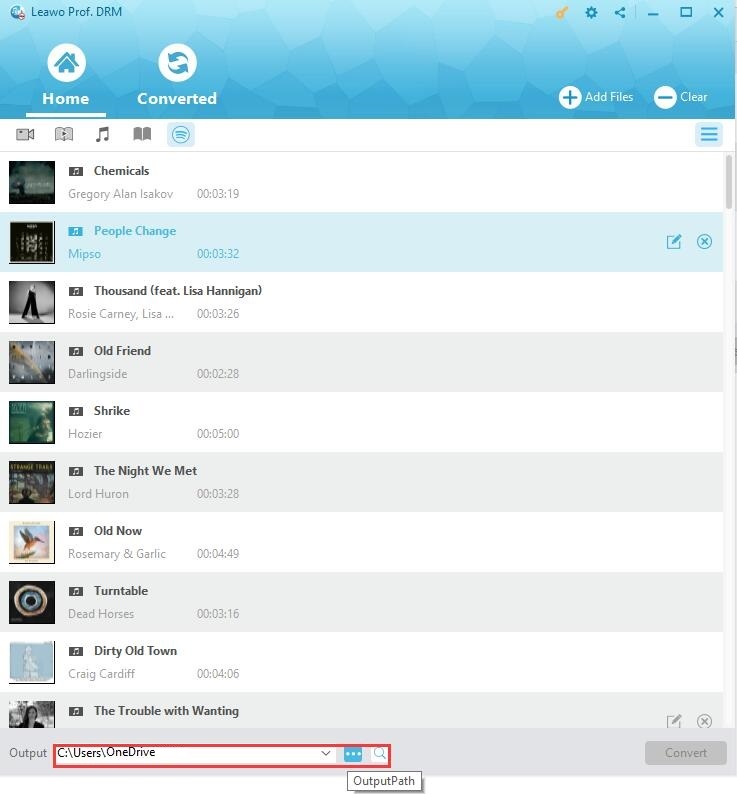 And then you could select one music file, click the edit button to freely select an output format including MP3, WMA, M4A, AAC, etc. and choose the output channels, sampling rates and bit rates for the output file. 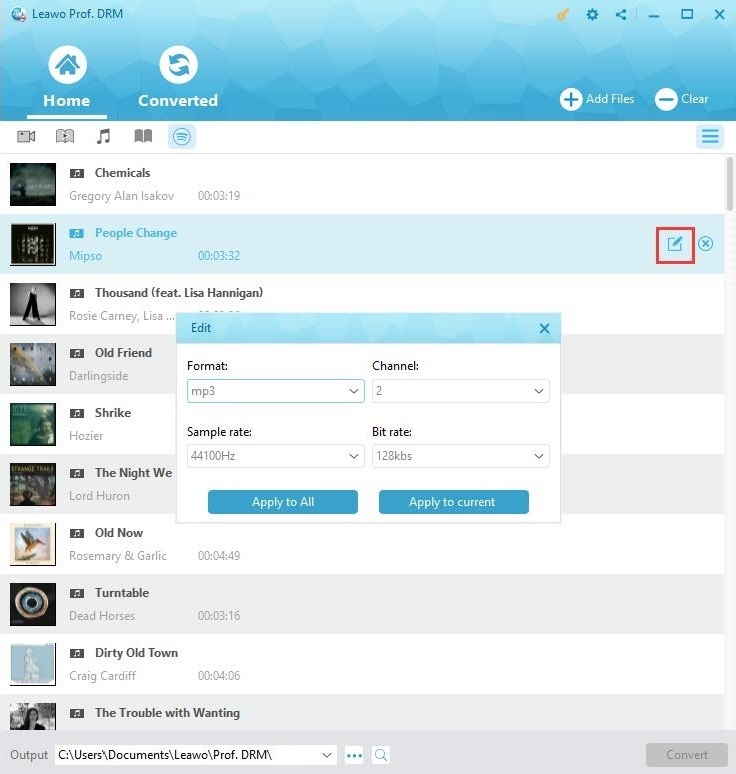 Then click “Apply to All” button to apply the settings to all the music files you imported. At the bottom of the interface, click the output dropdown list or click “…” button to choose an output path to save the output Apple music file. When you finish all settings, click the blue “Convert” button at the bottom to start removing DRM from Apple music file and converting M4P to MP3. The DRM removal and conversion process will be completed immediately. 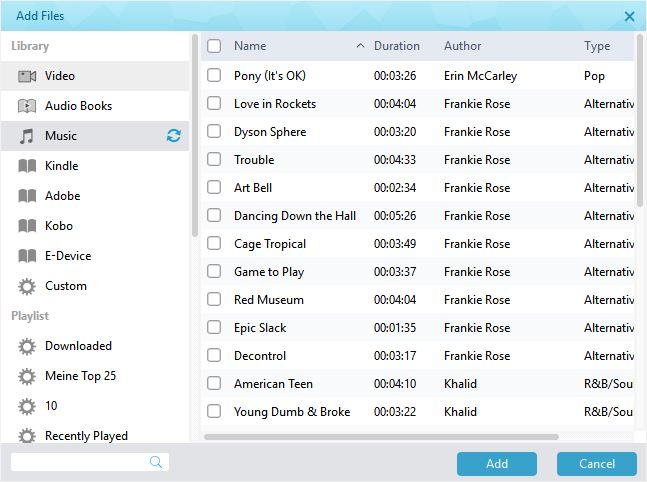 When all the imported music files are converted, all the converted MP3 files will be listed under Converted tab. And then you can open the output MP3 file for enjoying. Since you have got DRM free Apple music, you could transfer Apple music to USB and stream Apple music to your Raspberry Pi. And then get your music playback with common music player. Except for Prof. DRM, maybe you are searching for other ways that can directly stream Apple Music to Raspberry Pi. Actually, there are indeed some other useful ways available for you to play Apple Music on Raspberry Pi. And the common way is to use Airplay, though it is a little bit cumbersome. If you are not in a hurry, you can take some time to enjoy Apple music on Raspberry Pi with Airplay. Here comes the guide. Before you stream Apple Music to Raspberry Pi, you have to get some necessary tools prepared. 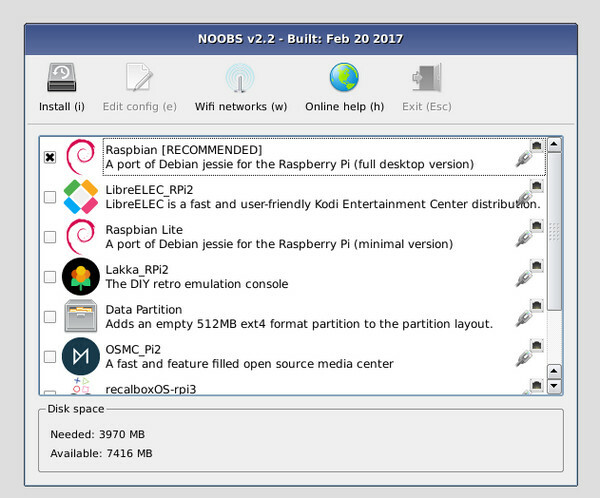 Raspbian operating system is recommended for Raspberry Pi. And it is feasible to get NOOBS or Raspbian by purchasing a SD card with the software already installed. Alternatively, you can also get NOOBs by downloading and installing onto a blank SD card. 1. Download NOOBS Lite ZIP from the official Raspberry Pi download page to your computer and extract the files from the zip. Insert the blank SD card to the computer and then copy the unzipped files to the SD card. 2. Safely remove the SD card from computer and insert it to the Raspberry Pi. 3. Connect all the accessories to the Raspberry Pi, including the Ethernet cable, HDMI cable, USB keyboard and mouse as well as power supply. 4. Boot up the Raspberry Pi and then select “OpenELEC” and click “Install”. 5. When it is done, you should go to “System” > “Settings” > “Services” > “AirPlay” to enable the option “Allow Kodi to receive AirPlay content”. 6. When completing the downloads and installation, Raspberry Pi should automatically restart and launch Kodi. After finishing all settings, you will see that Kodi appears in the AirPlay list on your iOS device. Now run Apple Music on your device and start to stream Apple Music to your Raspberry Pi. The two solutions mentioned here can both help you enjoy apple music on Raspberry Pi. Which one will be better for you? You can compare them according to the following content, and choose the solution better satisfies your needs. Anyway, use Prof. DRM you can get DRM free Apple music in different formats so that you can enjoy Apple music on Raspberry Pi or any other common players or devices without limitations. While use AirPlay, you can take some time to share your Apple music among your authorized iOS devices. Though it takes some steps to set up the AirPlay, it is a really awesome way if you have an iOS device or Mac computer to stream Apple Music to Raspberry Pi. But for keeping Apple music widely enjoyed on different players and devices, the program Prof. DRM would be a better choice. No matter which solution you choose, you will be able to easily play Apple music on Raspberry Pi as enjoyable as you like.